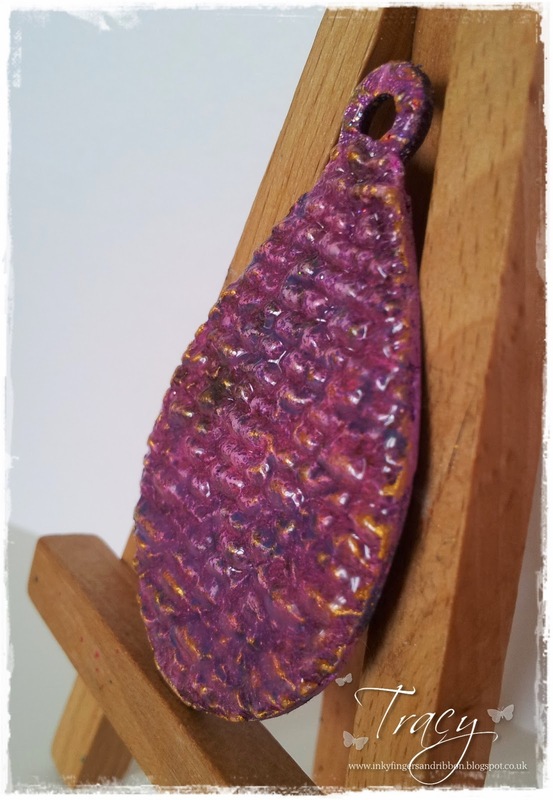 I have used Royal Sterling Embossing Enamel and given 4 thick layers into a Teardrop bezel. Whilst it looked beautiful without me doing anything else i wanted to add some more texture, so whilst the immediately after heating the powder on the last coat I used a script rubber stamp...**PLEASE NOTE** do NOT use any other stamp other than rubber otherwise you risk damaging your stamp...Leave the stamp until the enamel has cooled and then slowly remove....and you then have some beautiful texture. 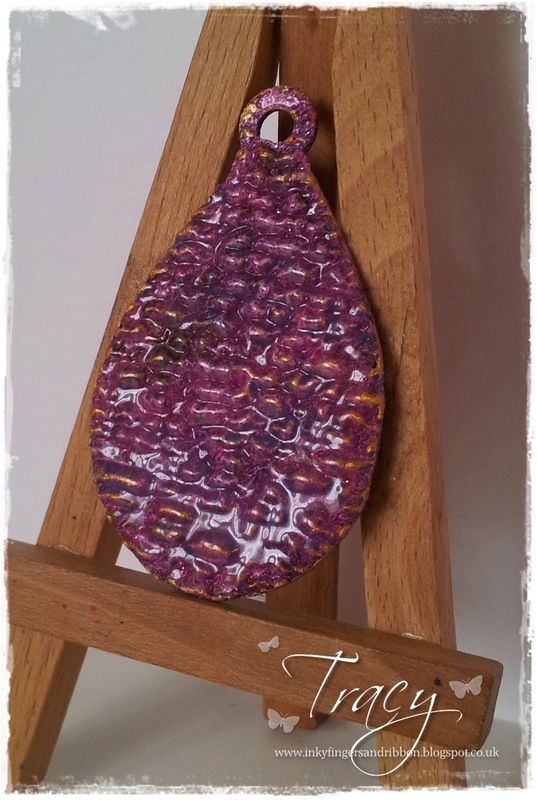 Beautiful pendent, love the texture and the added glaze of gel.